Polk County Middle School students recently got a taste of life in the United States Life-Saving Service. Polk County Middle School students are currently reading Storm Warriors, a book by Elisa Carbone about a boy who moves to the Outer Banks of North Carolina after the death of his mother. There, the boy encounters members of the USLSS and begins to work with and learn from the crewmen. 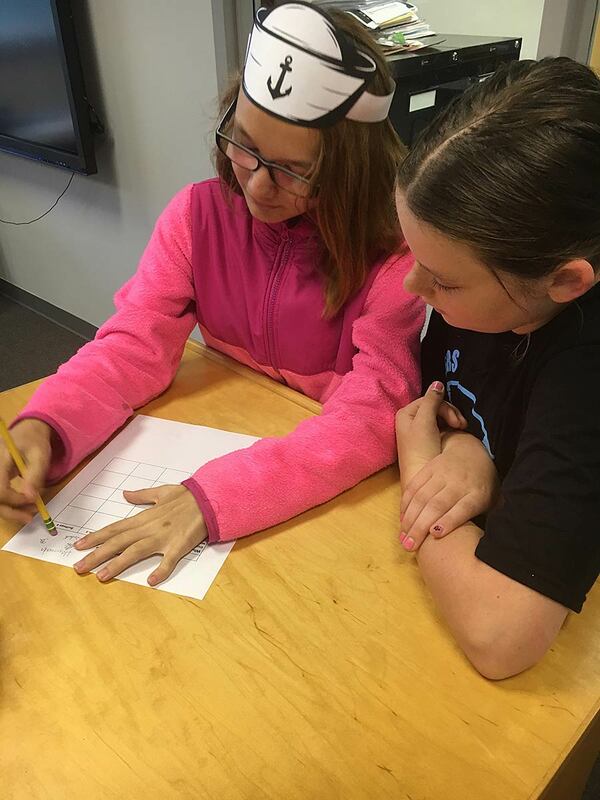 PCMS Media Coordinator Laura Smith worked with sixth grader English Language Arts teacher Donna Hall to create an activity mirroring an aspect of USLSS duty. The activity simulated one of the most important duties a surfman in the USLSS had to perform – accurately reporting a wreck to the Keeper of the station. Students were divided into teams with one person being the Keeper and the others being the surfmen. Surfmen had to memorize as much shipwreck information as they could in 30 seconds and report that information to their Keeper. 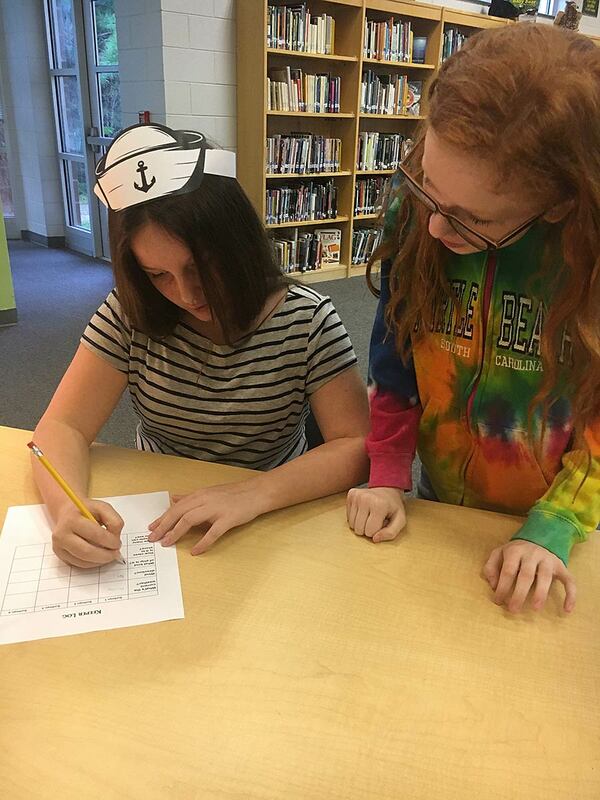 This activity gave students a better understanding of the responsibilities of the Pea Island USLSS crewmen.